The 2nd Annual NorCal Equity Institute began with a wonderful welcome from Mission College President, Daniel Peck, who discussed bringing students at the forefront of our discussions and to include students in our work, especially in this time of Guided Pathways and AB705. Deborah Harrington, Executive Director of 3CSN, delivered a passionate address with the audience reading aloud “Phenomenal Woman” by Maya Angelou. Ken Songco, Director of Student Equity and Success, welcomed the participants on behalf of his committee. 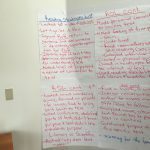 The planning group at Mission College were part of BSILI 2017. This presentation will highlight the ways that allies and choir can support equity efforts on their campus. 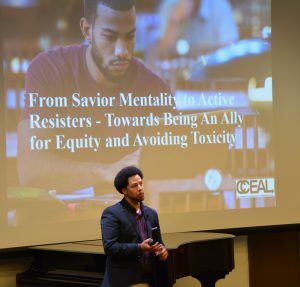 The presentation will highlight the role that toxic support (e.g., savior mentality) and opposition (e.g., active resister, defiant) have on equity initiatives. This conversation will be organized around the six domains of institutional responsibility and the common pitfalls experienced by equity initiatives around the nation. 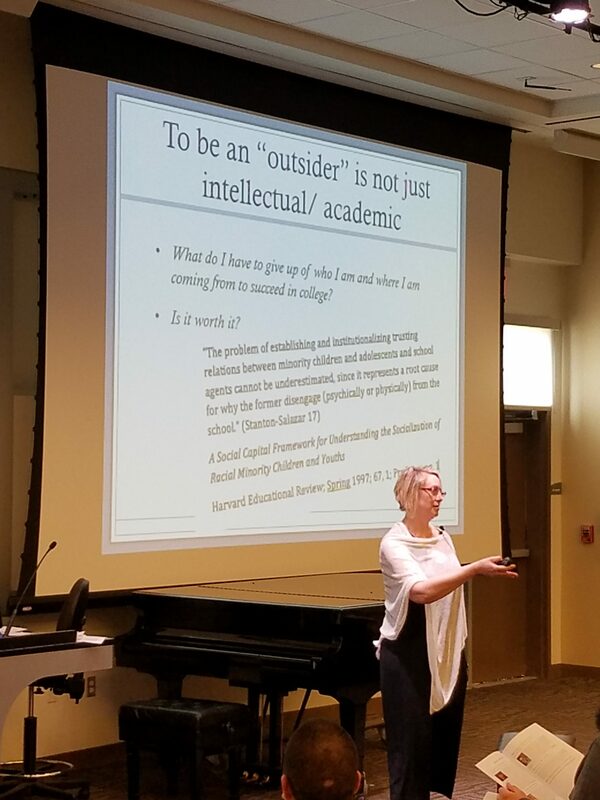 This presentation invites participants to explore the relationship between equity gaps in higher education and empathy gaps in our culture more broadly. In recent years, empathy has emerged as an important topic of study. Brain research has revolutionized and legitimized the scientific study of how we feel, and in higher education we have become acclimated to the affective revolution, from Paul Tough’s drawing upon attachment theory to help us understand grit to Brene Brown’s assertion that empathy is the antidote to shame, and thus the great enabler of learning and innovation. It is clear that empathy is a critical discipline, a Habit of Mind, and without empathy there can be no equity. But how do you DO empathy? I will propose that the answer is simpler than we think, and perfectly within our reach as California Community College educators. This presentation will introduce the theory of intersectionality, ground the audience in an understanding of key terms/concepts, and discover ways that intersectionality can be used to solve systemic institutional issues of power and dominance, impacting community college students today. Let’s read together! In this application session, metacognitive routines will be modeled and practiced to launch a text-based discussion about “Why Black Lives (and Minds) Matter.” Participants will have the opportunity to deepen their own learning about how to combat racism and bias in educational settings, and to see how similar metacognitive routines could be useful to their equity-minded practice. 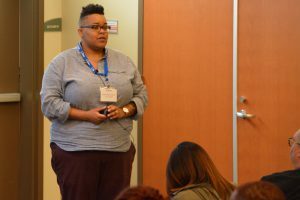 This interactive training will allow participants the opportunity to better understand the theory of intersectionality, recognize the importance of intersectionality, as a tool to solve systemic systemic institutional issues of power and dominance, impacting community college students today, and offer practical application examples for furthering their work. This session explores particular Habits of Mind (acquired mental dispositions) that support equity and social justice. Contextualized examples illustrating the dispositions will be shared and discussed. 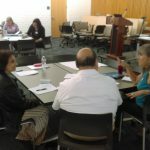 Participants will be asked to share their experiences and contribute thoughts about positive, personal actions that would improve their professional practice as educators. Sacramento City College’s Equity Team has designed a professional development experience that seeks to create an expanding and supportive networked community working towards student equity — an “Equity Collective.” This experience begins with the year-long programs Teachers for Equity (T4E) and the New Faculty Academy (NFA), centered around gaining knowledge and generating new praxis that supports the intentional design of the learning experience for students and faculty alike. Emphasis is on connecting with students of color and creating the space for relationships to develop; increasing the capacity to create and frame course content in culturally and experientially relevant ways; and increasing awareness of faculty responsibility for student success. This is done by modeling experiential and relationship-building learning activities; examining course success outcomes for all participating faculty; exploring ‘Whiteness’ and engaging in direct and critical conversations about race and teaching; interrogating language and its power; and beginning the process of deconstructing and redesigning courses. No materials given. 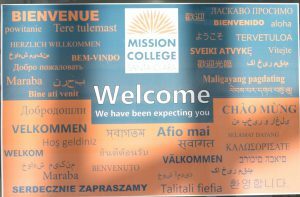 This interactive application session will highlight best practices incorporated into the development of Mission College’s Integrated Plan such as mindfulness, student engagement, and the importance of self-love and self-care. The session includes a student panel of students/alumni from Mission College’s Integrated Plan Workgroup who will share their experiences and insights on how they were fully engaged in the entire process. Guided activities include the following: a) self-reflection activity utilizing the personal equity wheel and b) a guided group activity that will include the brainstorming and development of a Student Engagement Plan to inform how to better engage students in major college initiatives. Throughout this session, the presenters will continually refer to the Mission College Equity Framework which helped inform the development of the college’s Integrated Plan.